The world-class facilities include two championship golf courses, the Magnolia and the Holly, which are both stunning and challenging to golfers of all skill levels. The Holly, a Gary Player Signature Course, is fast becoming an area favorite, due to its' panoramic beauty, "risk reward" layout, and some the best greens in the Sandhills. 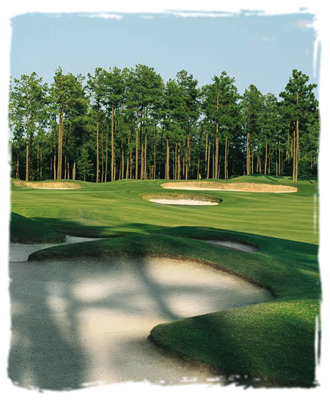 The Holly has played host to many USGA Qualifying events, as well as Carolinas PGA Championships. Whatever your choice of course, you are sure to enjoy the Bermuda grass blanketing the fairways, and velvet bent grass greens.